Hello! I'm Clementine. Owner and knitting enthusiast at SoSatsuma. As you can see from the pictures above, SoSatsuma is very much a family affair. 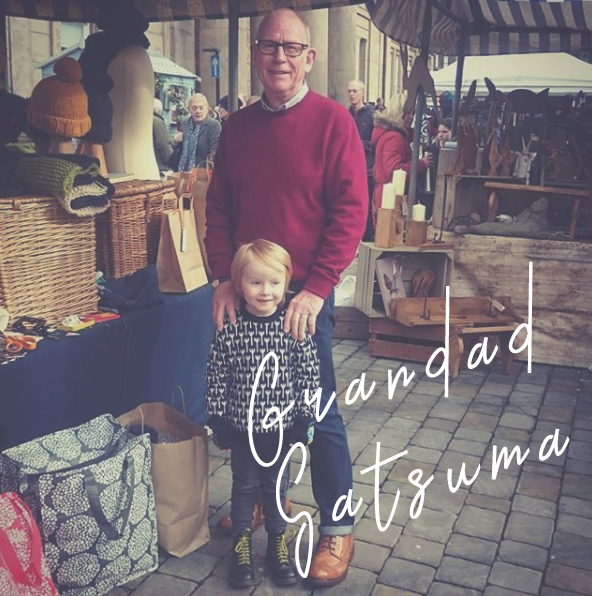 Just about all of the family helps in one way or another but mostly Nanna satsuma, she knits A LOT of of our lovely products. Did you know we hand knit EVERYTHING between us? No third party, no machines. Here are a few things about me that you might find interesting. - I am Clementine, SoSatsuma is my little business and I started it about 6 years ago. The time has just flown by. - Even though I grew up with my mum knitting (Nanna Satsuma) I only started knitting in my late 20's...but I've knit every day since! - I live in Manchester with my husband and 2 sons, Louis, 11 & Seth, 6. - Although I've lived in Manchester 16 years I grew up in Derby. 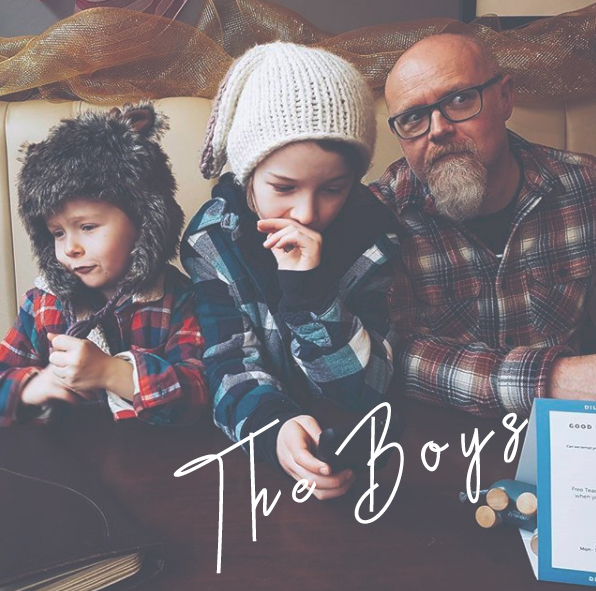 - I home educate both our boys. Neither have ever been to school and SoSatsuma was developed so that I can work from home and be with them. Although in reality you will find me knitting in all sorts of places. - I have a BSc in hospitality management and worked for a long time in the hospitality industry, in one sector or another, but mostly front of house. I like meeting people. 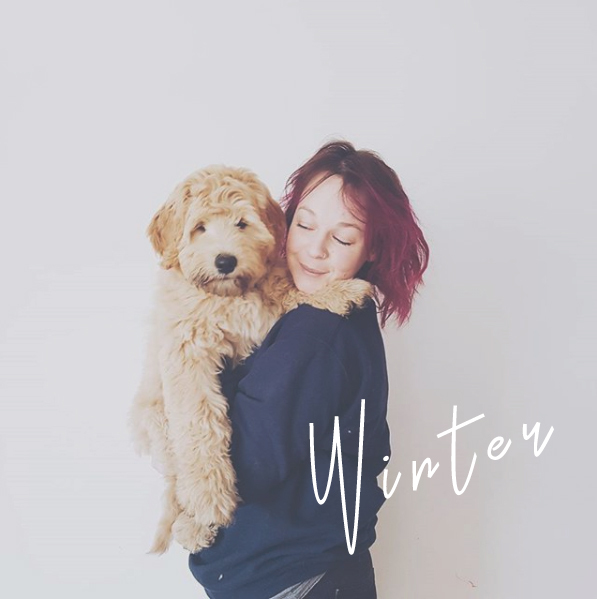 - Our dog, winter the Labradoodle, is my third child. Yes, a third child was considered. Yes, the dog is harder work!! - I have been married 10 years (!!!) I got married on my 25th birthday in Barcelona. It was small but amazing. - I like food! A lot. One of my favourite things in the world to do is eat out! I love restaurants. Even a good burger bar. I hate cooking though! - My current ambition is to see America. I've never been before and to be honest it's only very recently been of interest. I'd like to go to Nashville, Oregon and some less traveled places, and New York too, of course. - We recently spent a month in Spain. It was amazing. It really made us think about or life and what we want to be doing. As a result, we are starting to look at moving house. - I am 35 and have recently come to realise that I am happier with myself now than ever before.